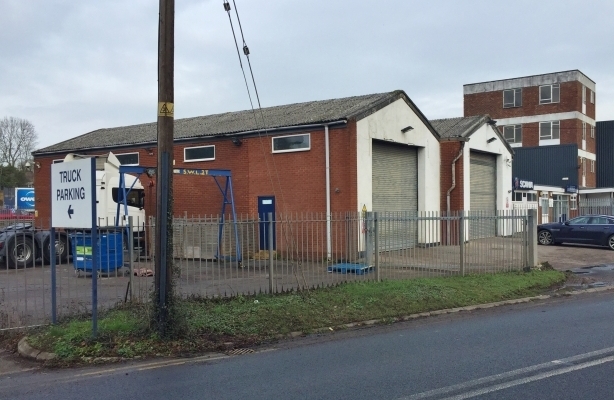 Former Keltruck Premises, Goodrich , Ross on Wye, Herefordshire, HR9 6DF. Scan this QR code to view this property on your smartphone. We understand that all mains services are available or connected to the property. It should be noted that we have not checked or tested these services and interested parties should make their own enquiries. Leasehold: The property is available to let based on a new FRI lease on terms to be agreed. According to the Valuation Office Agency website the rateable value of the property in the 2017 rating list is £25,750. Goodrich is a small hamlet in south Herefordshire, which is located approximately 4 miles southwest of Ross on Wye and 8 miles from Mounmouth, on the Anglo-Welsh border and close to the River Wye. Goodrich is essentially a sheltered rural location, but it does lie in close proximity to the A40 trunk road, which forms part of the main route between South Wales and the West Midlands. The property itself is situated at the junction of the A40 dual carriageway and the A4137 and benefits from good road links despite the predominantly rural location. It immediately adjoins South Hereford Motorcaravan Centre and there is a diner directly opposite, on the other side of the dual carriageway. 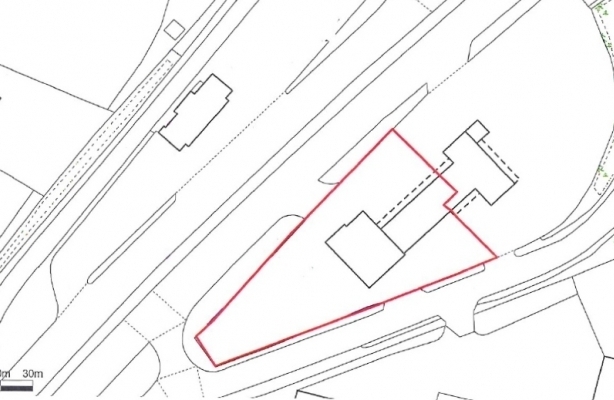 The property comprises a semi-detached commercial premises providing single storey sales and parts shop with adjoining double bay workshops and offices on a total site area of 0.65 acres (0.26 hectares) including a substantial secure yard and car parking. 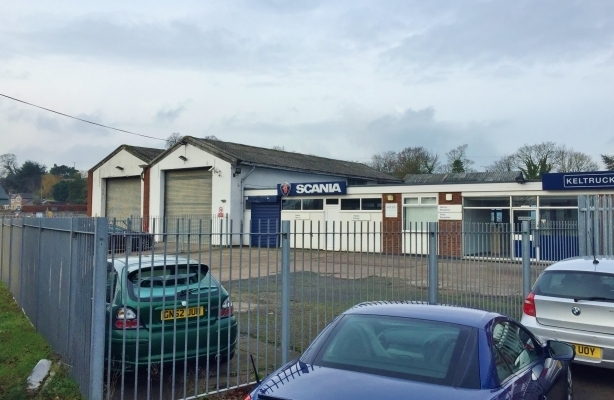 It was previously utilised as a Scania truck service and parts centre. The main building is a single storey brick structure beneath a flat felt roof providing reception area, sales office/storage, kitchen and WC facilities. It benefits from gas central heating throughout. Adjoining the main building to the east are two workshop bays of steel portal frame construction surmounted by pitched concrete board roofs, which are heated by gas warm air blowers. Bay 1 provides a single storey workshop with an eaves height of approximately 16ft 3ins incorporating ground and first floor offices/stores and WC facilities. Access is via pedestrian doors to the front and side and a roller shutter door to the rear. Bay 2 provides a single storey workshop with an eaves height of 18ft, complete with vehicle inspection pit. Vehicular access is via roller shutter doors to the front and rear. 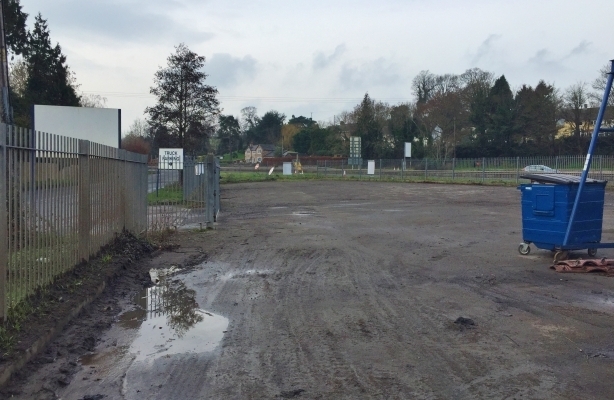 Externally, there is a large tarmacadam yard to the front and side of the building, which is secured by by steel palisade fencing with a gated access. It was formerly utilised as a sales pitch with a capacity for 40 lorries/trucks. There is a car park to the rear of the building. Disclaimer: Andrew Dixon & Company. for themselves and for the vendors or lessors of this property whose agents they are give notice: (1) The particulars are set out as a general outline for the guidance of intending purchasers or lessors, and do not constitute, nor constitute part of, an offer or contract. (2) All descriptions, dimensions, references to condition and necessary permissions for use and occupation, and other details are given in good faith and are believed to be correct but any intending purchasers or tenants should not reply on them as statements or representations of fact, but must satisfy themselves by inspection or otherwise as to the correctness of each of them. (3) No employee of Andrew Dixon & Company. has any authority to make or give representation or warranty whatever in relation to this property.